2/28/2019 Are You Missing FREE credits? 10/16/2018 Get Traffic to Your Ads Easily! 8/23/2018 Come on in and Join A Team! 7/31/2018 Happy Birthday Tornado Traffic! 7/13/2018 Tornado Traffic is on the Cutting Edge! 6/11/2018 Tornado Traffic is Growing and Changing! 12/9/2017 The 12 Days of Christmas Celebration! 11/24/2017 Black Friday at Tornado Traffic! 11/8/2017 Are You Building Your List? 10/28/2017 Why I use Text Ads and Banners on Traffic Exchanges! 10/13/2017 It is Friday the 13th!!! 9/7/2017 Do You Need Traffic to your Website? 8/29/2017 Check Out Tornado Traffic! 5/22/2017 Pangea is the Best Safelist! 5/8/2017 What is the easiest thing to sell online? 5/4/2017 Advertise to PRO Marketers Now! 4/20/2017 One Site, One List, 900+ clicks. Solos Now At SOTAM. 3/19/2017 Banner Ad Blaster is Incredible! 3/5/2017 Stop Paying For Upgrades! 2/12/2017 What is the easiest thing to sell online? 12/23/2016 Do Traffic Exchanges work? 11/29/2016 IBOtoolbox! Better Than Ever! 9/14/2016 Do You Need Stunning Banners! 9/10/2016 FREE Rotators... with a TWIST! 8/20/2016 Get WordPress Visitors With Ease! 8/15/2016 Fugly Banners - Cure Banner Blindness! 6/29/2016 Build Incredible Banner Ads for FREE! 6/16/2016 Make All Your Banners for FREE Forever! 5/19/2016 Are You Losing Referrals? 1/16/2016 Who Else Wants 100s Of Free Credits Without Clicking? 11/27/2015 4 for 1! Are You Kidding Me! 10/6/2015 Legacy's Legendary Launch is Now! 9/5/2015 Turn Your Traffic Into Profits! 8/30/2015 Please Don't Make These Simple Mistakes! 8/23/2015 Tracking is SO Important! 8/16/2015 You Need Click Track Profit! 8/14/2015 Covert Commissions is Awesome! 7/25/2015 How many programs are you a member of? 7/21/2015 How About a Real Game Plan? 6/2/2015 Build Your Online Business the Right Way! 5/29/2015 IBOtoolbox Press Releases Rock! 5/13/2015 Get the Scoop on cool commissions! 5/12/2015 95% of Marketers Profit Online This Way..
4/26/2015 Why Are You Trying To Reinvent The Wheel? 4/17/2015 I Challenge You To NOT Make Money With This! 3/9/2015 Launch Alert - Your TruckLoad of Ads Has Arrived! 2/18/2015 Own Your Own Text Ad Exchange! 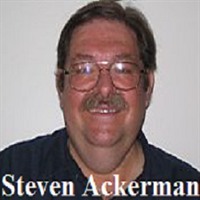 2/8/2015 Who Is Steven Ackerman? 1/30/2015 Have You Seen Click Track Profit Lately? 11/24/2014 New Look, New Features, More Commissions! 10/27/2014 You gotta check out Lords of Lothar! 7/5/2014 Building Your Personal Brand is So Important! 6/5/2014 Do You Use Traffic Exchanges? 10/24/2013 Are You Building Your List? 9/24/2013 Email Marketing Gets Easier Again! 9/11/2013 Do You Have The IBOspirit? 9/2/2013 Traffic Browser Is Awesome! 8/12/2013 Nerdbux Is Live and Growing FAST! 7/31/2013 Why Should I post "Authentic Content"? 7/19/2013 Streamline Your Safelist Marketing! 7/15/2013 SOTAM "Golden Ticket" is Awesome! 7/13/2013 Text Ad Exchanges Provide Traffic! 5/28/2013 New - Got Your Golden Ticket To Ride on SOTAM? 4/9/2013 Trck.me is Fun, Easy, and simple! 3/29/2013 Why Track Your Ads? 1/23/2013 Free Paid Ad Pack Every Month, What? No Way! 1/17/2013 Introducing AFF Super Networks! 1/1/2013 PinnacleAdz Has Just Gone Live! 12/17/2012 Streaming Traffic Is Growing Fast! 12/8/2012 Tracking For Everyone! Trck.me is Awesome! 11/26/2012 Free Advertising For Life! 11/17/2012 Is Your Advertising Effective? 11/11/2012 Tracking made simple! Tracking made fun! 11/8/2012 Calling All Website Owners: Free Lifetime Traffic! 10/30/2012 Quit Searching for Traffic! 10/16/2012 Do You Have A Road Map For Your Business? 10/8/2012 Brand New Advertising Site! AFF Supernetworks! 9/27/2012 Join the ELITE.. The Viralist Membership At SOTAM Is Here! 9/23/2012 AFF Super Networks Is Awesome! 9/14/2012 Featured Ads and Viral Ads, They Work! 9/11/2012 Mail To The Max! 9/7/2012 How To Create Splash Pages FAST & EASY! 8/28/2012 Streaming Traffic To Your Website! 8/24/2012 Tornado Traffic Will Blow You Away! 8/21/2012 TAE Buddy Is Here! 8/6/2012 Turn splashes into floods with Traffic Splash! 8/3/2012 How Do You Advertise? A Text Ad Exchange Is A Great Choice! 8/1/2012 Are You A Nerd? 7/17/2012 Do you need some free traffic? 7/8/2012 Viral Mail Profits Gets Better Again. 6/9/2012 Tornado Traffic Will Blow You Away! 6/2/2012 WARNING .. Highly Addictive! 5/12/2012 The Most Advanced Mailing System Ever Created! 5/9/2012 Viral Ad Builder! Paul Coonan Strikes Again!